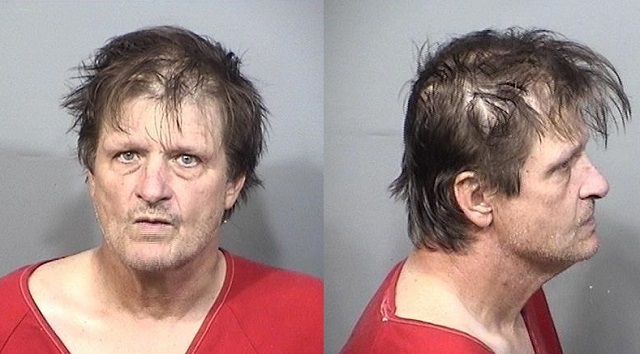 MELBOURNE, Florida - A 58-year-old Florida man is facing a First Degree Murder charge for allegedly bludgeoning his roommate to death with an elephant statue in Melbourne, Florida. On March 22, Melbourne Police were called to 301 Palmetto Avenue regarding a death. Investigators determined that Michael Barlow had died several days prior to his discovery by his two roommates, Roger Goodrich and Donald Beyers. A later autopsy determined that Barlow had died of blunt force trauma to the head. During an interview with detectives a week later, Goodrich told police that he obtained the heavy, wooden elephant statute from the living room and went to Barlow's bedroom where Barlow was lying in bed. According to the arrest affidavit, Goodrich admitted to striking Barlow in the head with the statute because he wanted to put his roommate 'out of his misery' and because he felt other people were 'taking financial advantage' of Barlow. Goodrich was then arrested and booked into the Brevard County Jail where he is being held on a 'no bond' status. According to police reports, Goodrich had only been Barlow's roommate for one month prior to the murder.